Mary Riley Smith designs landscapes and gardens of beauty and practicality. Integrating nature and architecture, she creates landscapes with four seasons of interest, that respect local conditions, that connect the home and garden, and reflect the interests of the client. Working with landscape architects Donna Gutkin and Alessandra Galletti, her gardens incorporate structural elements and horticulture. Paths, walls, and terraces set the stage for lush plantings of trees, shrubs, and perennials. Growing up in a family of gardeners, she learned to love gardens and plants at an early age. 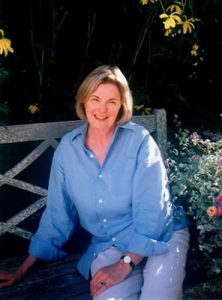 She studied horticulture and garden design at the New York Botanical Garden and has designed gardens in the northeast for twenty years. Whether it is a small urban space or large rural or suburban property, every site offers the opportunity to create gardens of individuality and beauty. © 2019 Mary Riley Smith all rights reserved. Site maintained and hosted by MOO Productions.